My Roof is Damaged, Can I Claim Insurance? This is an important question for property owners who have suffered storm damage and unexpectedly face a hefty bill for emergency roof repairs. When you’re in an emergency situation, the last thing you need when you’ve had to fork out for an emergency roofer is to face a row with your insurance company over who’s going to foot the bill. In the heat of the moment, insurance is not usually the first thing on your mind when you need an emergency roofer. But claims can be rejected if your roof is not well maintained. The best way to ensure that your roofing insurance claim goes through without any problems is to make sure that you maintain your property. 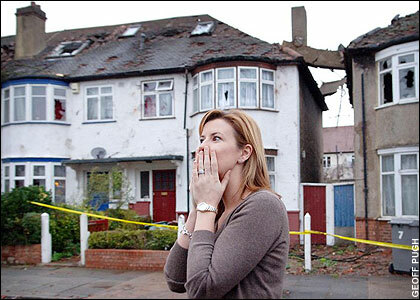 Home insurance usually covers events such as flooding, fires and storms but if there’s evidence that your property was in a poor condition before the incident, that’s when you’ll run in to trouble. If there is an underlying problem with your roof, such as missing tiles or loose brickwork then you could really have to fight your corner when you’re talking to the insurers – and there’s no guarantee that you’ll win! If the insurer thinks that the problem could have been avoided with roof maintenance work before the storm hit then they’re unlikely to pay out. When you’re buying home insurance, make sure that you’re familiar with the terms and conditions. If there’s anything you’re unsure of because let’s face it, small print can be confusing, contact your insurance company direct and ask questions. A little research can stop you from being out of pocket in the long-run. The first thing to do is to establish what is an emergency. Make sure that you only hire an emergency roofer if it’s a true emergency. This sounds basic but don’t confuse something that can be fixed temporarily, or doesn’t pose a real threat to your home or your property with a situation that needs deal with by a professional – promptly. Make sure that getting an emergency roofer is absolutely necessary. This means that you should only call out an emergency roofer if not calling them out would cause further damage to your property. If your roof is in danger of caving in or your home is at risk from extensive flooding if you don’t get it fixed immediately, then this would normally constitute an emergency situation. In this case, you won’t have time to get an estimate and your insurer should understand that you had to contact an emergency roofer without delay. Ensure that the weather condition that caused the damage to your property can be classed as a storm – not just a storm in a teacup! Many insurers don’t classify a storm as such, but they will usually classify a storm as violent winds with hail, rain or sleet – that’s just a general guide and there may be other extreme weather conditions may also be classed as a storm too. Many insurance companies use something called the Beaufort Scale to measure the power of the wind and see if it could really cause damage to your roof. This is a standard scale that was introduced by mariners in the 19th century and is used to measure wind force. With the Beaufort Scale, wind is measure from 0 to 12 and above a certain point on this scale is classed as a storm. Although you shouldn’t rely on this as other factors also come into play and the insurer will also take into account how far away you are from the nearest weather station and the reliability of the weather station too. The best way to ensure that your insurer pays out is to keep your property in good repair in the first place. Your roof needs regular maintenance to keep it in good condition. Make sure that there are no cracks, leaks or missing tiles that could make your roof more vulnerable in a storm. Remember that wear and tear and damage that has become worse over time will render your insurance invalid when it comes to the crucial moment when you want to cash it in. To ensure that your roof is kept in the best possible condition, contact a trained roofer to help you keep on top of the maintenance. G&A Roofing and Building is a professional firm of roofers that provides emergency roof repairs, gutter maintenance, chimney repairs, roof reports and surveys and a range of services to keep your property in top condition. Call G&A Roofing and Building for advice from a trained roofer today on 0800 626430.